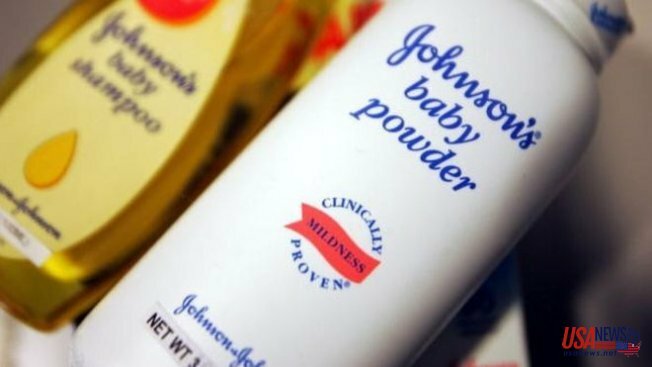 A jury in California has ordered Johnson & Johnson to pay a woman $417 million for her claim that the company's talc-based products caused her to develop ovarian cancer. The jury sided with California resident Eva Echeverria in the case, which awarded the highest payout yet in lawsuits against J&J. The pharmaceutical company has been accused of not warning consumers about the cancer risks of its talc-based products. In her lawsuit, Echeverria said she her ovarian cancer was a "proximate result of the unreasonably dangerous and defective nature of talcum powder." The verdict included $347 million in punitive damages and $70 million in compensatory damages. Echeverria's attorney said she hoped the verdict would prompt J&J to implement additional warnings on its products. "Mrs. Echeverria is dying from this ovarian cancer and she said to me all she wanted to do was to help the other women throughout the whole country who have ovarian cancer from using Johnson & Johnson for 20 and 30 years," said Mark Robinson, Echeverria's attorney. Robinson added that his client only wanted to "get a message out to help these other women." The 63-year-old plaintiff argued that she developed terminal ovarian cancer after using J&J's feminine hygiene products for decades. Echeverria's lawyers argued that J&J continued to encourage women to use their talc-based products despite studies linking genital use to ovarian cancer. The jury's award was a setback for J&J, which faces approximately 4,800 other lawsuits making similar claims. The company has also been ordered to pay more than $300 million for similar cases in Missouri. J&J plans to fight the verdict. "We will appeal today's verdict because we are guided by science, which supports the safety of Johnson's Baby Powder," said J&J. The company maintains that federal agencies and studies have not linked their products to be carcinogenic. Echeverria's case was the first of hundreds to go to trial in the state of California. J&J lost four out of five trials in Missouri, where several lawsuits are still pending. Many cases in the state are facing jurisdictional questions after a Supreme Court ruling in June placed restrictions on where personal injury lawsuits could be filed. After the ruling, a St. Louis judge, at the urging of J&J, was prompted to declare a mistrial in an ongoing talc case. The judge in the case did state that the plaintiffs may have jurisdiction due to J&J having a Missouri-based bottler packaging its products.